These are the most expensive food products in Japan, items found in stores around Japan with ridiculously high prices. The fact that the Japanese cuisine is considered one of the finest in the world, with a high-end twist and very pricey at restaurants, gave us a reason to investigate the most expensive food products found on the shelves and aisles of Japanese stores. We found exotic and unique products that the Japanese sell for incredibly high prices, but which are different from their same category food items. So let’s see which are the most expensive Japanese food items and what are the rate for these rare food products that they use in their most luxurious cuisine. 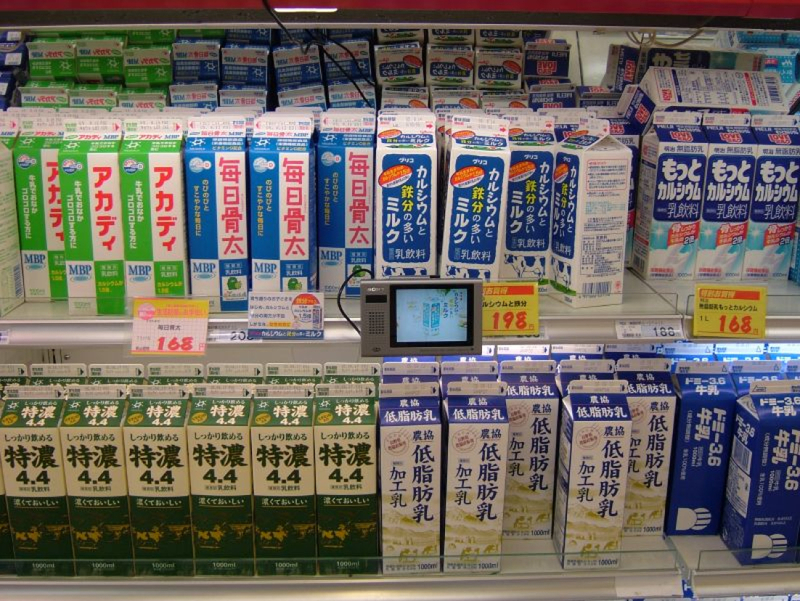 The first item on the list of the most expensive food products in Japan is a milk brand that has a price three time bigger than your average cost per liter. The price of the milk is given by the fact that this brand of dairy product is made with delicate techniques and has certain properties that other brand don’t have. So for $43 per quart you could buy the Nakazawa Milk a special brand of milk produced by a brand that has a special technique for the harvest. The producers claim that the milk has a very strict harvesting routine, being collected every once a week at dawn when the melatonin hormone level is high enough, so that the milk is full of stress relieving properties.